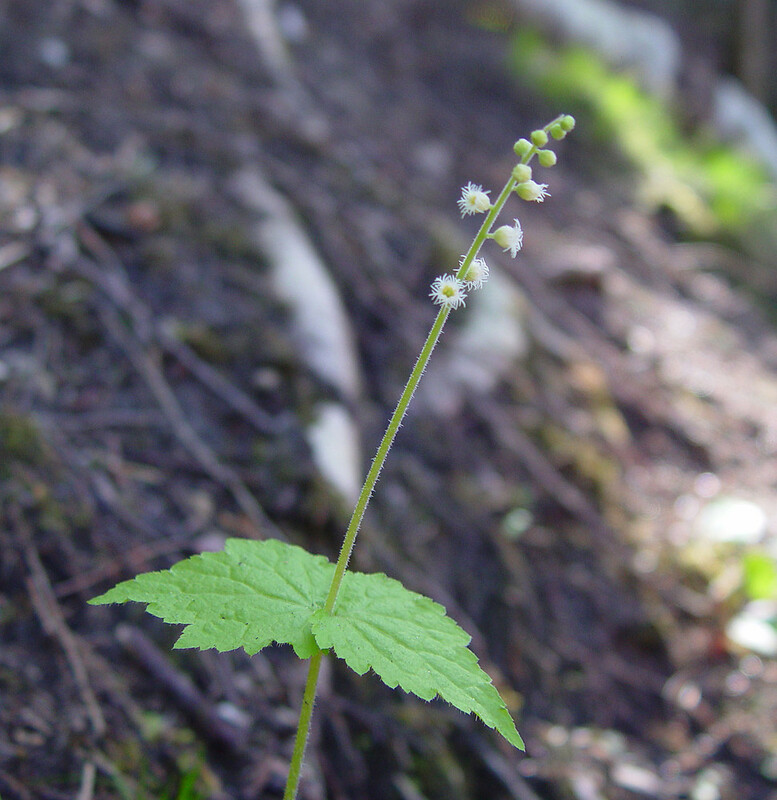 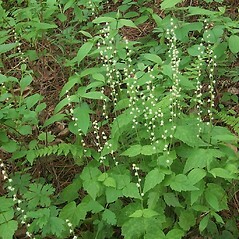 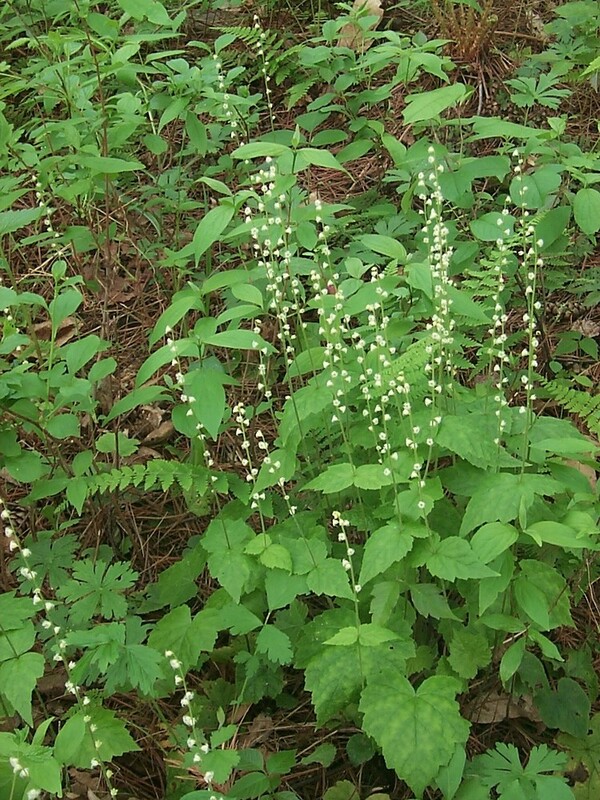 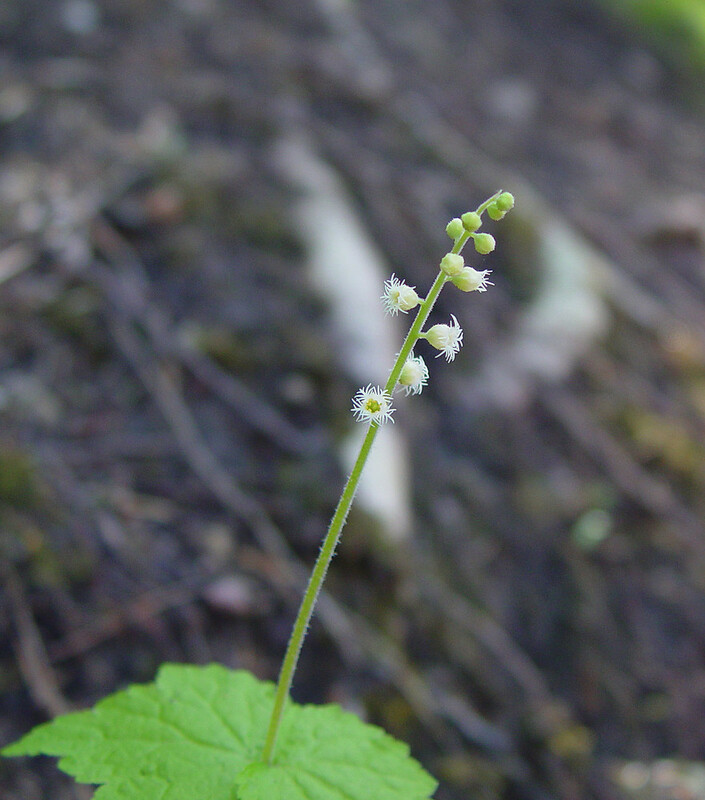 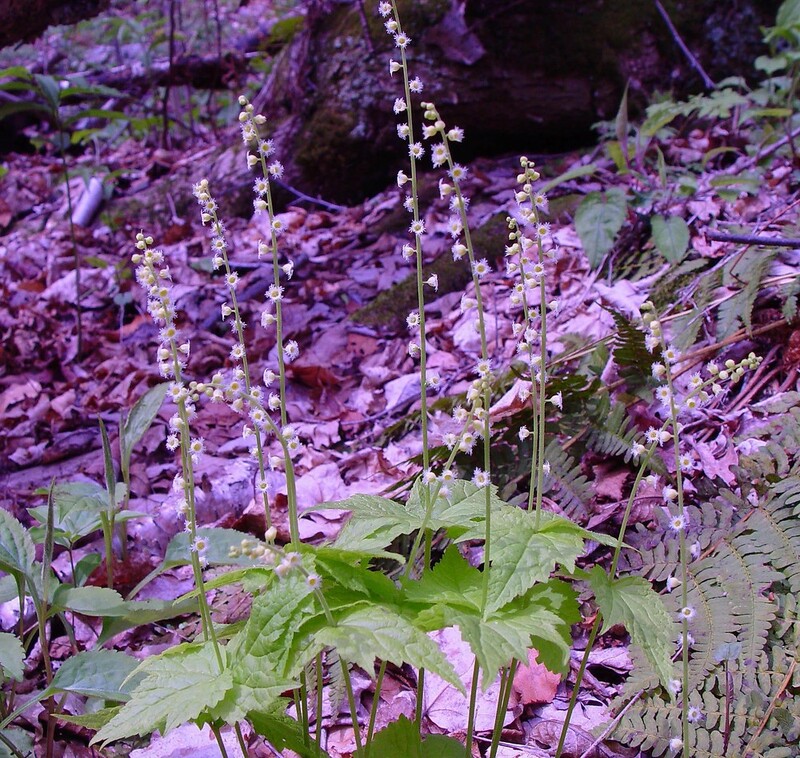 Two-leaved bishop's-cap is a lovely little wildflower of rich deciduous woodlands, with dainty fringed flower petals. 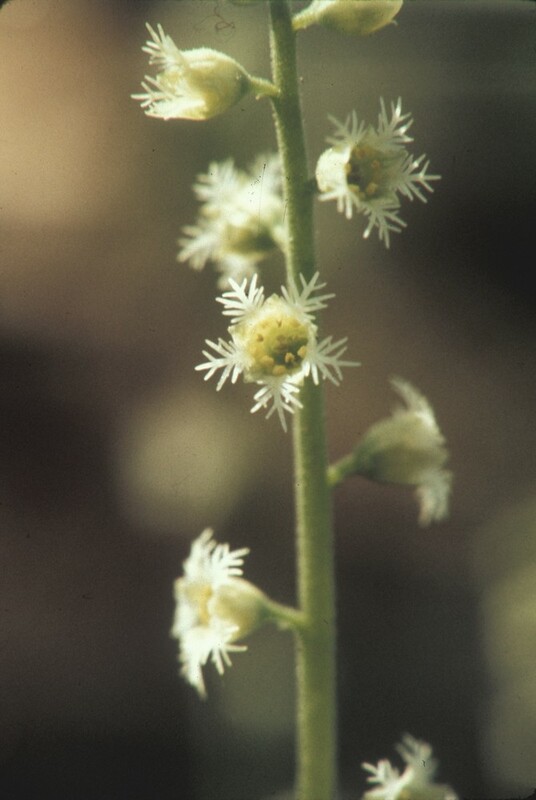 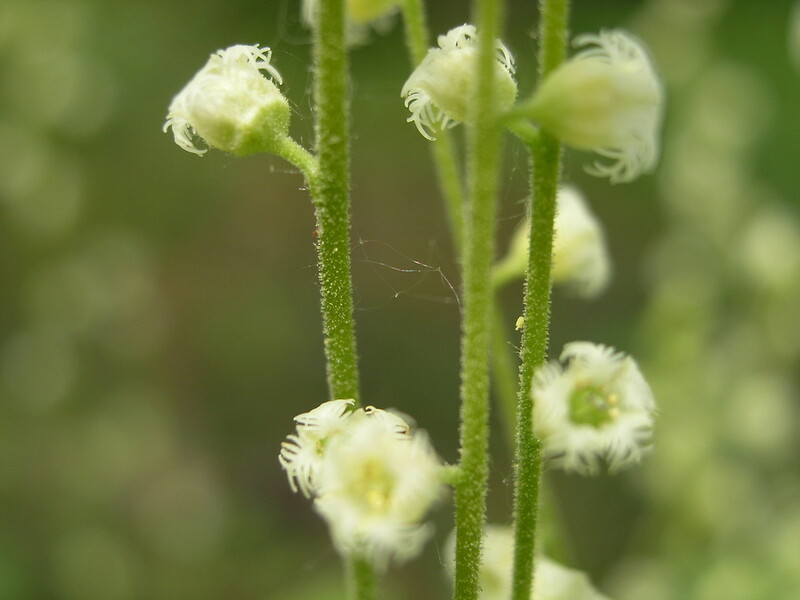 The flowers develop into unusual cup-like fruits with tiny black seeds nestled inside. 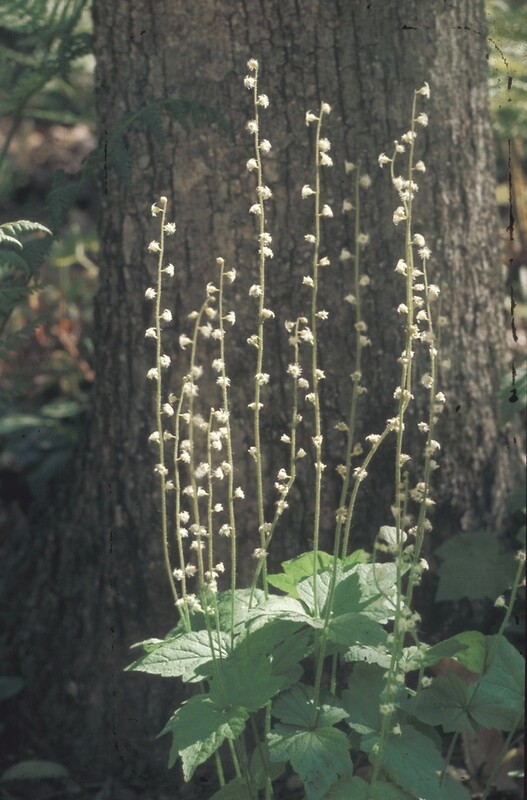 The Menominee considered these seeds to have sacred properties, and used them in their medicine dance. 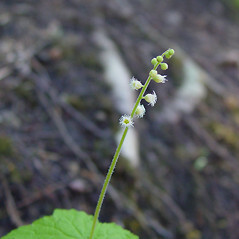 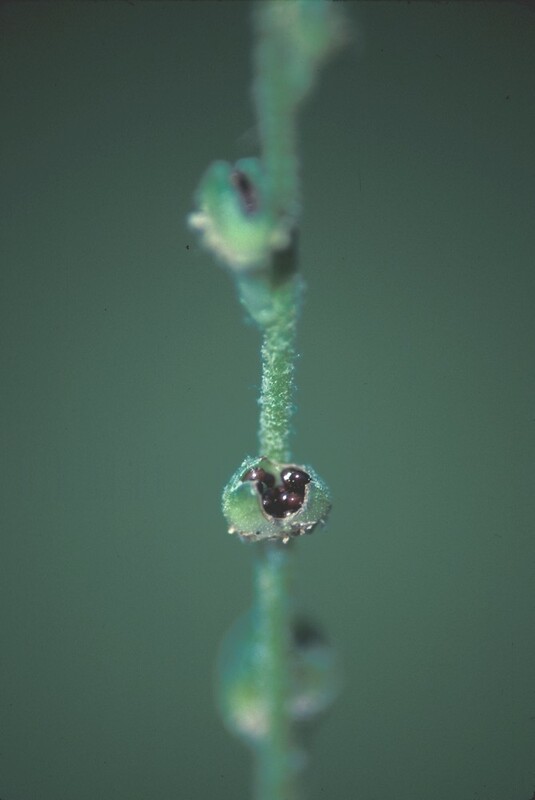 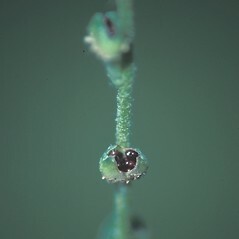 basal leaf blades rounded to obtuse at the apex, stem with 1 or 0 leaves, and petals 3-5 mm long (vs. M. diphylla, with basal leaf blades obtuse to acute at the apex, stem with a pair of leaves arranged opposite one another, and petals 1.8-2.2 mm long). 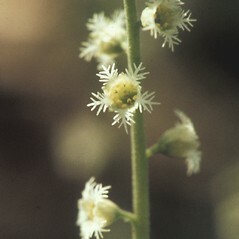 petals entire and flower stalks 5-10 mm long (vs. M. diphylla, with petals conspicuously fringed and flower stalks 1-2 mm long). 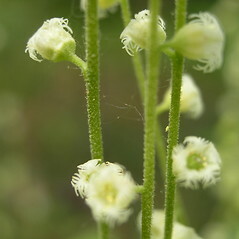 two-leaved bishop’s-cap. 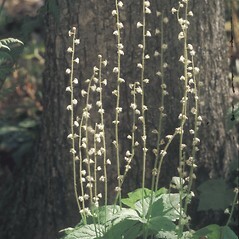 CT, MA, NH, VT; most frequent in western New England. 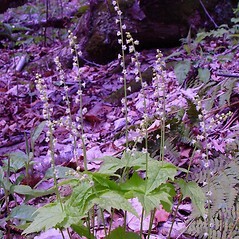 Mesic forests, often rich, rocky, and deciduous.